ToeOFF®, the original dynamic response floor reaction AFO, and two new models are available from PEL Supply. According to manufacturer Allard USA, individuals with gait impairment due to foot drop now enjoy a higher quality of life thanks to the stability and dynamic assist they provide. The Ypsilon" model has a more open and flexible construction. It offers dynamic "toe-off" assist and floor reaction control, while allowing natural ankle movement. The new BlueRockerTM model offers extra stability to improve balance and posture. SPS is pleased to introduce the enhanced, versatile, and efficient redesign of the Mauch Knee® from Ossur. Initiating with the proven track record of the Mauch hydraulics, Ossur has taken this remarkable prosthetic knee and reinvented it for superlative performance and heightened durability. The new cylinder attachment delivers a lower tolerance environment. State-of-the-art bearings contribute to a smoother motion and increased durability. Protected by rubber covers, front and back, the aluminum frame combines strength with an attractive new design. 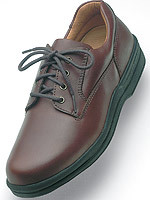 SPS customers with higher activity patients experiencing drop foot, TMA, ALS, or MS need the new Matrix MAX from Trulife. The Matrix MAX has a thicker and stronger foot plate to accommodate patients with weak quadricep muscles and in need of greater stance control. Applicable for patients over 250 lb., the rigid carbon and glass fiber AFO is height adjustable. As with the Matrix before it,Matrix MAXs anterior shell is heat moldable to facilitate easy customization and comfort. Originating from our custom SILK liners, we now offer seven standard sizes in both pin and cushion configurations. No coverings to tear or run. Our patented locking system makes donning and doffing simple for patients of all ages, providing maximum compression with minimal effort. The back panel automatically adjusts to any lordosis. 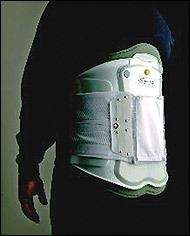 The front and back panels are removable to provide the right amount of support and compression at all stages of rehabilitation. 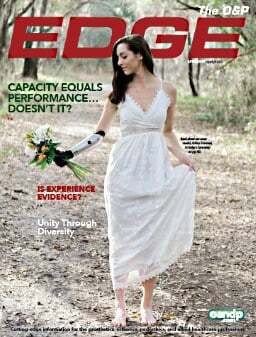 The sleek, innovative design makes this orthosis virtually undetectable under clothes. The Stealth is available in six unisex sizes with neutral or pendulous abdomen. The SafetyStrideTM is a mechanical stance control orthotic knee joint that utilizes a low-profile cabling system to automatically unlock itself at the end of stance phase. The key feature of the SafetyStride is its ability to resist knee flexion at any angle. The SafetyStride doesnt require full 180-degree knee extension to resist knee flexion in stance phase. Designed to unlock at terminal stance, an internal lever re-engages during swing phase to ensure knee joint stability prior to heel contact. Individuals who intermittently fail to reach full extension will now have added security and stability. Restricting motion of the lumbar spine is now even more comfortable and economical with the new ContourTM LSO available through SPS. The Contour LSO, manufactured by Aspen Medical Products, combines the patented QuikDrawTM RAP and the Contour Back Panel to produce the ultimate in orthotic options for spinal bracing. The Contour LSO is modular with adjustable side and vertical panels, allowing the practitioner to fit a wide variety of patients while minimizing inventory. Specifically designed with the progression of patient care in mind, the Contour LSO is a multiple orthotic system that can be stepped down to the proven QuikDraw PRO. A new modern design approach inspired Becker Oregon to combine the conveniences of a modular system with the rigidity and lightweight (typical KAFO weighs only 2.6 lb.) characteristics of composites to create a laminated system that is user friendly for the practitioner. Components easily can be detached from the orthosis and adjusted for ease of fitting, adjustment, and replacement. The laminated sections of the orthosis are fabricated around the metal components and attached with screws, and the streamlined design adds cosmetic appeal. An unhappy employee. A lost laptop or stolen hard drive. Or a simple employee mistake. Any or all of these scenarios can cause a privacy breach that can damage your companys reputation and your bottom line. Worried about HIPAA? We have the answer. Crisis management costs can be high when a security breach occurs. Potential loss goes beyond lawsuits. The cost includes the expense of notifying your clients and customers of any personal data breach. The majority of these expenses are covered by getGuard,TM so your organization can recover as quickly as possible. 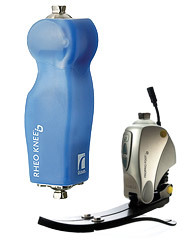 In an effort to make the introduction to Ossurs Rheo Knee® and Proprio Foot® as convenient as possible, SPS is offering onsite training on these products. Molly Cooper, CPO, SPS director of clinical and technical services, will visit your facility and provide training for you and your staff. The hands-on session will provide working knowledge of how to properly select, specify, and utilize all the functions of either the Rheo Knee or Proprio Foot. Order either product through an SPS sales manager and request onsite instruction. 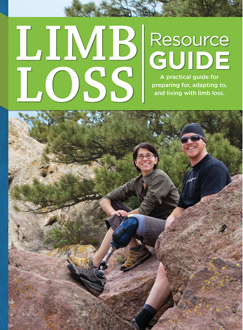 The GeoLiteTM Knee is designed for Level 1 and Level 2 amputees. The knee returns to full extension when flexed up to 20 degrees under load without mechanical locks. 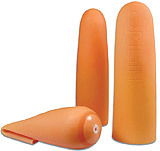 The knee accommodates hip flexion without losing knee stability. These features provide a sense of security and stability to wearers. One of the lightest and shortest friction-controlled polycentric knees available, the GeoLite Knees design allows for easy adjustments and easy cosmetic finishing. The proximal end has a four-hole pattern. The distal end offers a choice of four-hole pattern or 30mm tube clamp. Comfort Products Inc., the innovation leader in knitted orthotic and prosthetic products, announced the newest addition to its AFO liner sock offerings. Now available with X-Static® silver and CoolMax® fiber for superior moisture control and antimicrobial protection, our new SilvermaxTM AFO liner sock offers superior value. The AFO liner sock is an extra-high crew style that accommodates AFOs, thereby reducing patient irritation, chafing, and perspiration. The product comes in three adult and three pediatric sizes. Call for a complimentary pair (one offer per customer). Performance Insole and Aetrexs innovative Mozaic customization layer for fitting flexibility. Available in sizes 4½ -11, 12, and 13; widths B, D, and EE.